Fresh in from the wilds of the 'bay is this neat Card Collectors Company catalog dated January 15, 1968 (their 20th! ), clocking in at a fairly hefty ten pages. 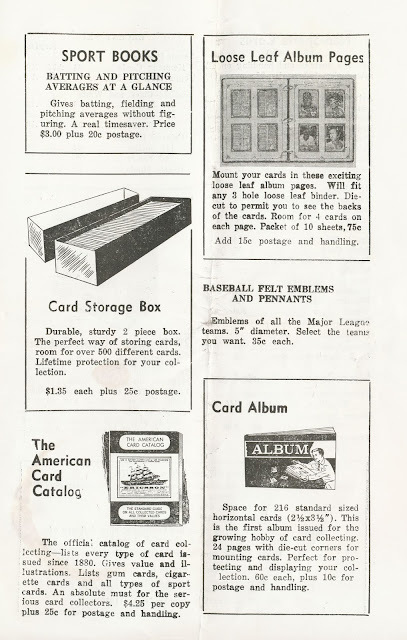 Before the internet and before or just around the birth of the modern card show, Card Collectors Co enticed collectors with mail order goodness. So let's take a peek, realizing that there will be some repetition with their 1965 catalog shown here recently. Red and Blue Backs but no sets of the Reds? The last reference is to a Reds Team Card. Odd that there were only Blue Back sets though. And a complete run of '52 highs for $90? Sold! 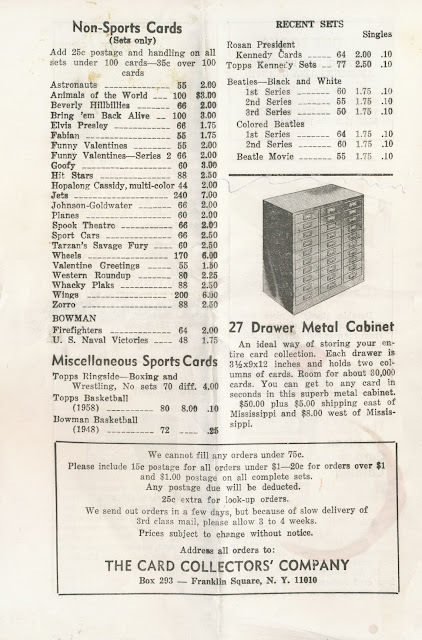 An just an eight cent difference twixt the low and high numbers in 1953. 1954 lows (#1-50)were two cents less than the rest of the 54's. No surprises in 1955 but those Baseball Buttons look like a steal at five for a quarter, even if Woody got to pick them himself. Here's an expected development-nos. 265 to 352 are described as "extremely scarce." 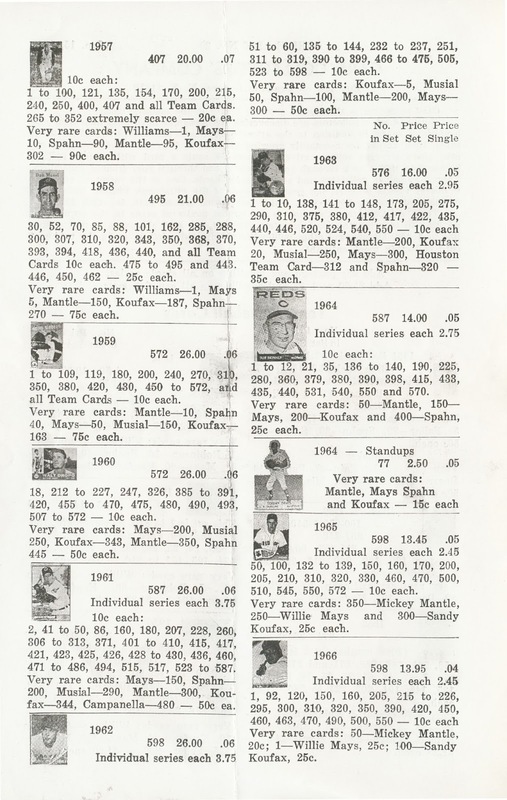 In 1958 the four cards pulled to make way for extra prints of the Stan Musial and Mickey Mantle All Star cards (nos. 443, 446, 450 and 462) carry a premium of nineteen cents compared to six cents for a common. 1959 and '60 are ho-hum and there is barely a premium for 1961 highs, which are pretty tough. No premium at all for highs from 1962-66. Page four is a real hodgepodge and you will note only the first series of 1960 Leaf cards are available, both could be had three years earlier. Football? You bet! They get the year wrong but there are some 1951 Magic Football singles and 1952 Bowman Large cards are cheaper than the small ones (were it so today)! 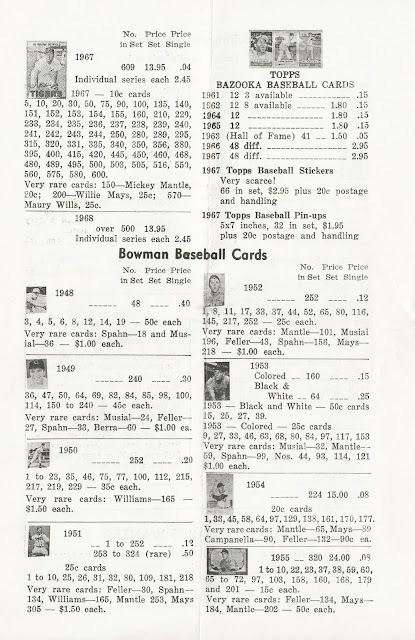 Bowman Football sets are either early (1948 and 1950) or late (1955). I suspect the smaller, earlier cards were not as popular and we all know what happened in 1955 and Bowman may have been left with a lot of unsold gridiron product as a result. 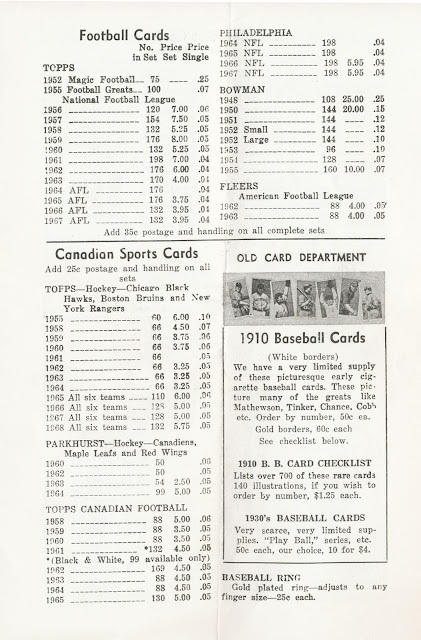 We also get Hockey cards from 1955 (the 1954-55 set) which seemingly confirms some of these were sold in the U.S. Parkies, CFL and T206 cards could be purchased for nominal prices along with an adjustable baseball ring! 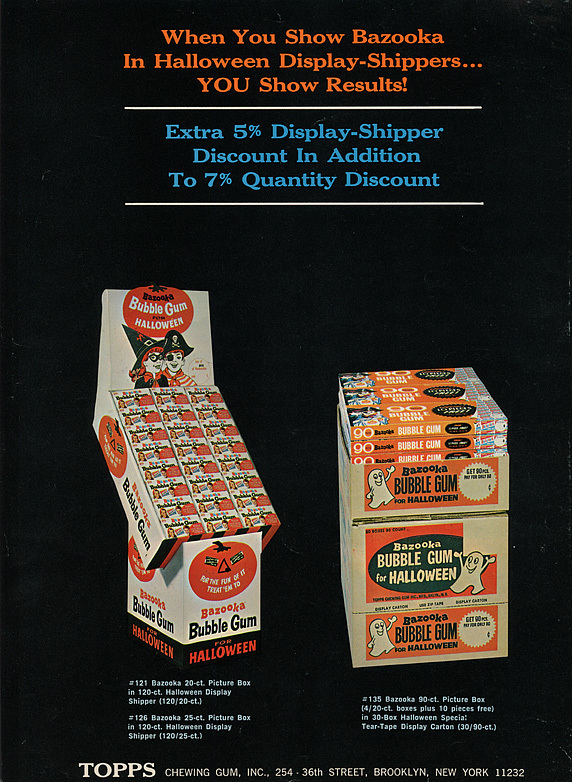 Larger cards abound on page 6 but supplies of 1959 Bazooka Baseball are dwindling so you better act fast! Can you imagine buying up all those old scorecards? Yowsers! 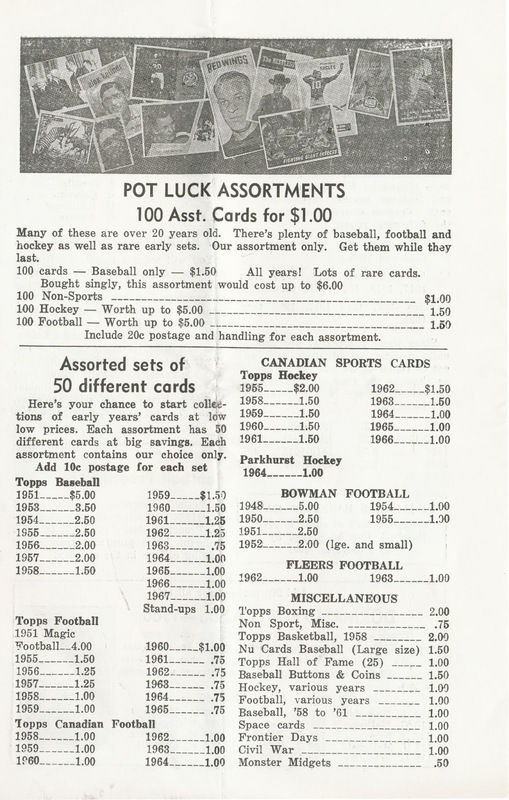 The Pot Luck page shows supplies of certain issues that were abundant three years earlier were running out, although some of the sets featured could still be bought fully formed two pages hence. I believe that would be the hardcover version of the 1960 American Card Catalog available for $4.25 but there was a paperback reprint made in 1967 that surprisingly is not for sale. Those Topps Trading Card Guild Albums for sixty cents apiece seem like a good deal as well. 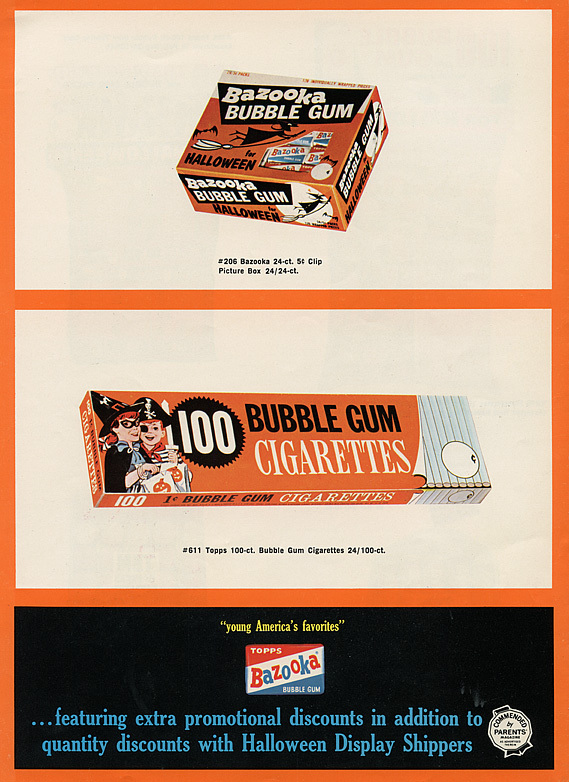 I am a few months early (or late, depending on your perspective) but have had some really nice color scans sitting on my hard drive for a bit from a 1965 Topps Hallowe'en marketing brochure forever and figured today was the day. I think these were provided by BBF O'the Archive (that's Best Bubblegum Friend) Jeff Shepherd but I usually tag his stuff and the scans are decidedly untagged. He;'s got quite the haul there! 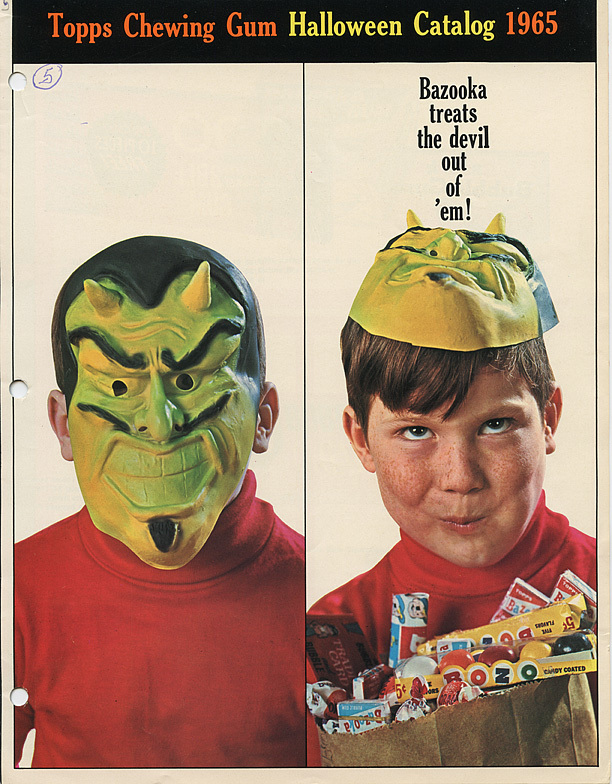 The Bozo gumballs are interesting to me as I think they had just re-entered the US product line at this time, having been exiled to Canada for a bit (I could be wrong about that though, perhaps they were still sold in the US since their introduction in 1949). I don't know why there were such minute differences in the counts. 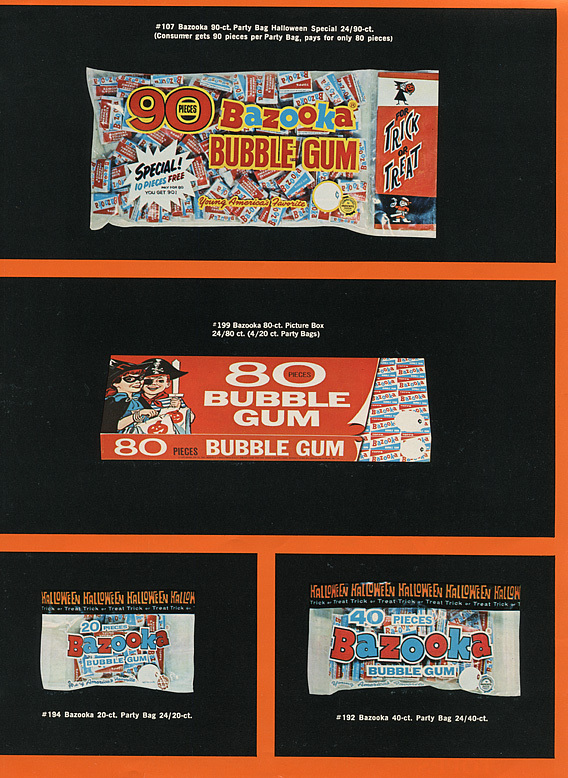 20 pieces of bubble gum vs. 25 or 100 vs. 110 in the larger size seems like like splitting hairs. 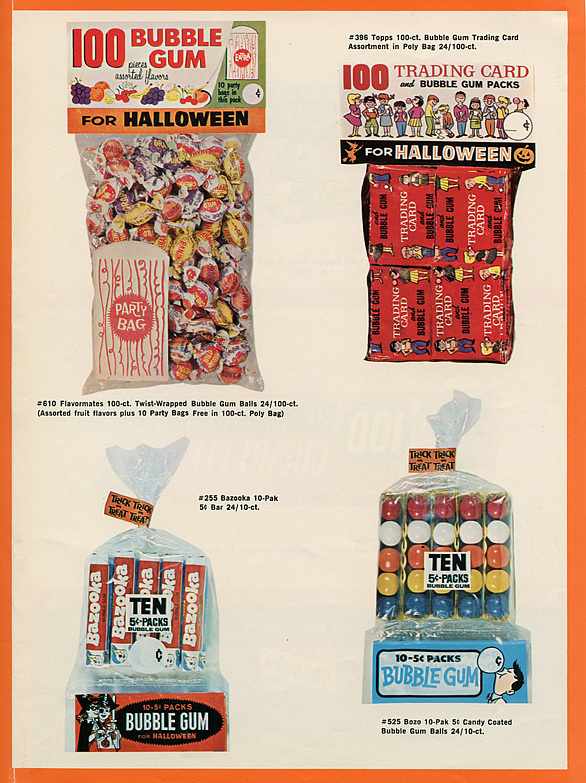 More hair splitting but these are Hallowe'en themed packages now. 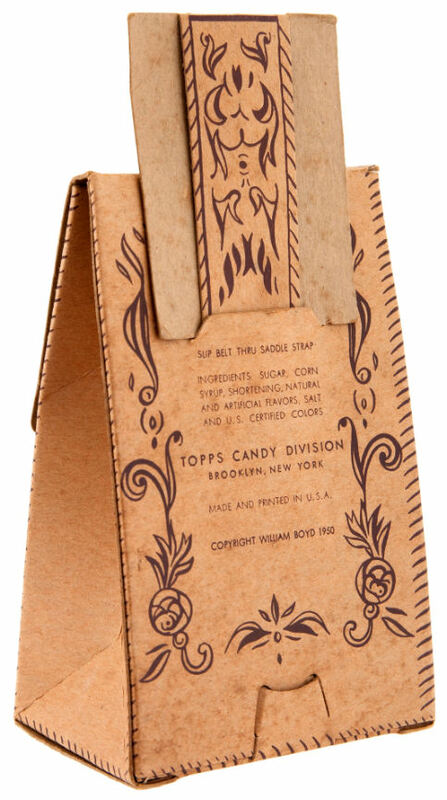 I guess Topps just had a price point for every conceivable market; they had just eliminated penny packs earlier in the year after 17 years years of faithful service carving out market share vs. profit. 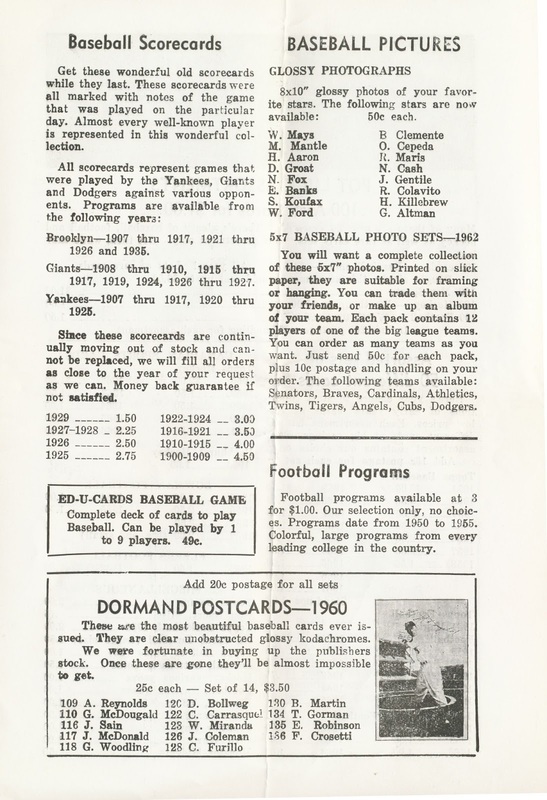 The highly professional look of this brochure was typical for Topps. 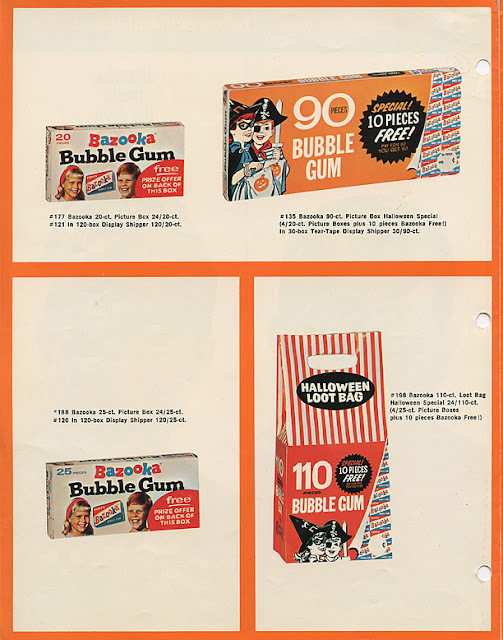 They would send these to their jobbers (wholesalers) and direct retail accounts (larger chains like Woolworth's and Rexall Drugs) and there were probably five or six such brochures produced every year, in additional to all the salesman samples, promotional items and the like. It was all good business despite the obvious expense. In 1961, the last year I can find a documented record for, Topps had total sales of $13,500,000 and Bazooka accounted for over half of that at $7,700,000. Topps also sold $3,475,000 worth of baseball cards in '61 and they were actually down slightly from 1960 thanks to Fleer ramping up their card production. That means everything else they sold, which would primarily have been Football, a little bit of Hockey, some Non Sports cards and whatever else they had their fingers into, amounted to $2,325,000. 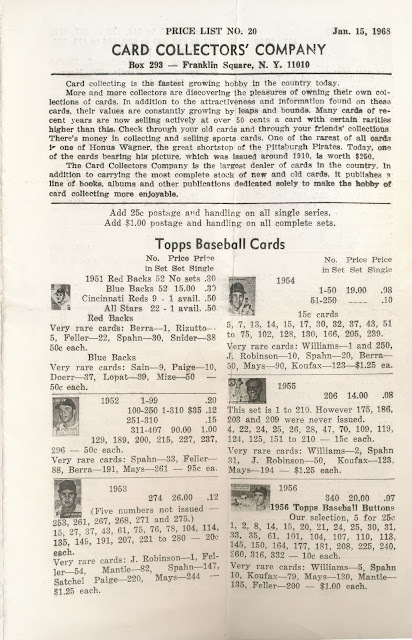 I need to look at some reference scans to see if those Topps logos match up with salesman samples but I would peg these as mid to late 50's, maybe a little later on the top one. There are all sorts of Topps promo pieces but you just don lt see them too often. Thanks Shep! 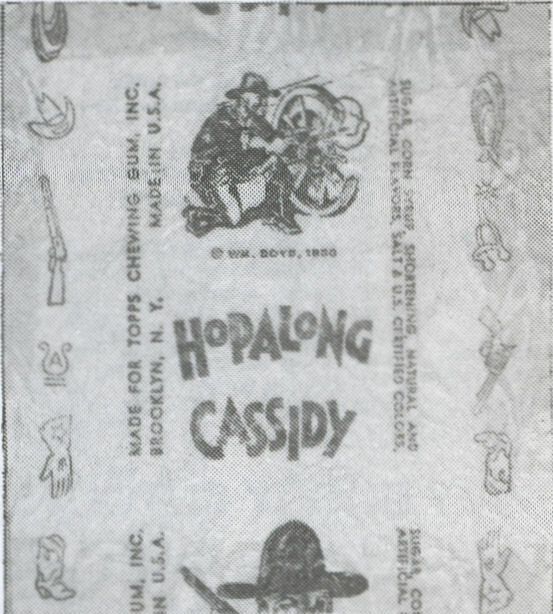 I keep trying to move this blog into the post 1956 era at Topps but sometimes there just seems to be so much cool stuff prior to that things don't go as planned. The Saddle Bag sold for just over $200.00, which I thought was a steal considering how scarce an item this is. You can see the listing for yourself here. The (authentic) Topps Archives continue to surprise! 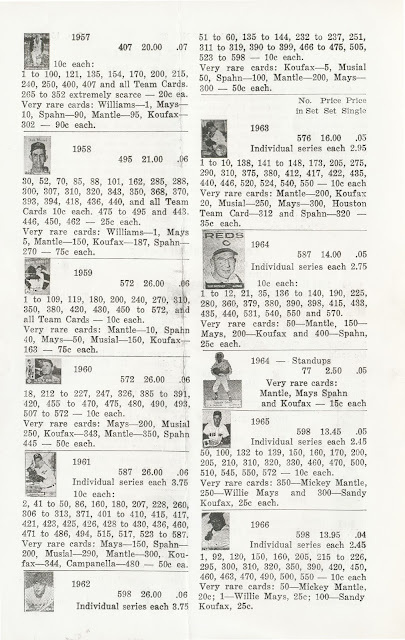 Yes, that is a large portion of the reverse of a 1951 Topps Team card! This particular oddity was likely produced during the second run of Red Backs and Teams, where brilliant white stock was used (the first run was cream for both sets). 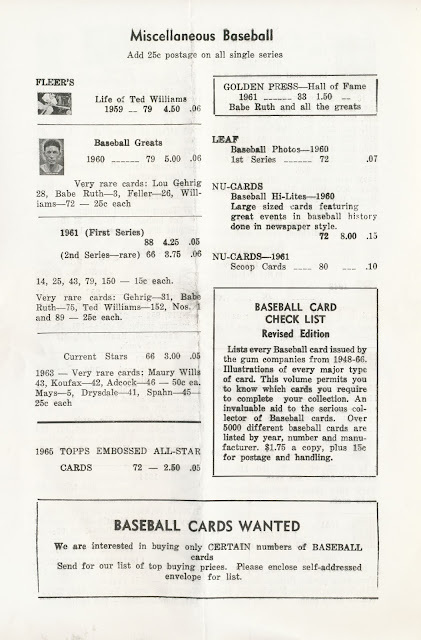 I believe this would mean the Team cards were of the undated variety, the 1950 dated versions coming last since they only come on brilliant white stock. So what to make of this monster? 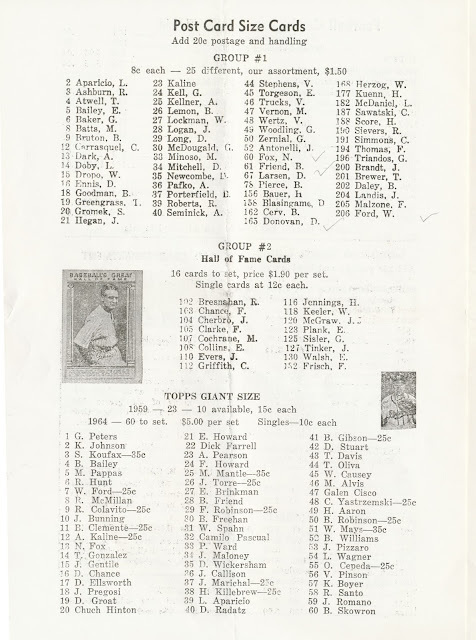 Well, I think it means the Teams, which were on the same sheet as the Connie Mack All Stars (see the miscut below to see how they were next to each other on the sheet), but probably not the Red Backs, had been run off first. The orientation is right I think when my miscut backs are compared to Connie Mack above- printed to the side and not atop a Team card. I have never seen anything like these two Red Backs and wonder if any more are out there. I started a thread on Net54 about them as well, which may be worth checking in on. Hopefully more information can be developed.